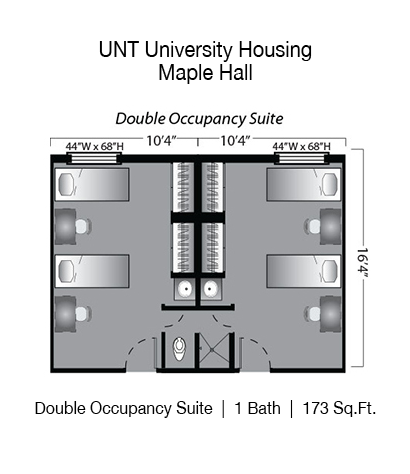 Maple Hall is located on the corner of Maple Street and Avenue C, Maple is one of UNT’s “standard halls” that primarily houses freshmen. 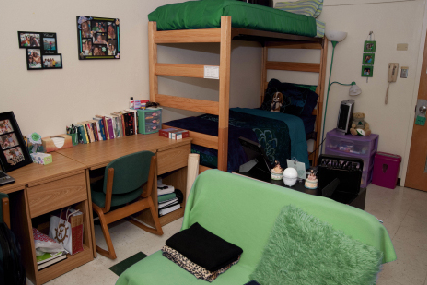 This residence hall primarily offers double occupancy rooms as well as some triple occupancy rooms. 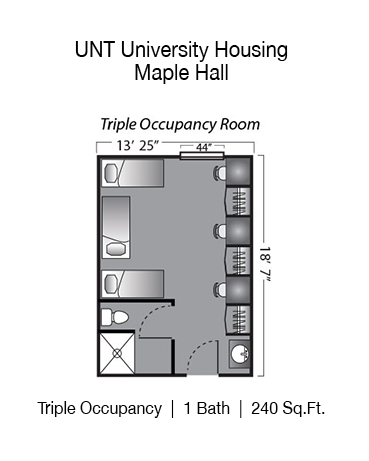 Housed in Maple are 2 of UNT Housing’s Living-Learning Communities. 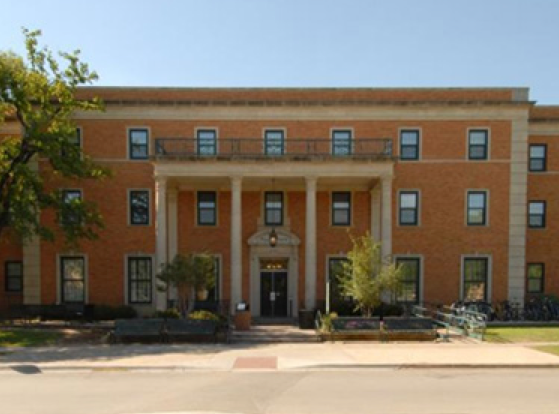 At the rear of Maple Hall is the Mean Greens cafeteria, the only 100% vegan dining option on campus. It features an all vegan menu, not just for vegans but for all who seek to eat a balanced diet that offers a host of health benefits.